CDAC Steering Committee member Jon Eggert (LLNL, pictured at right) has been elected Fellow of the American Physical Society (APS). 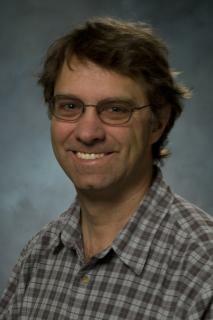 Jon is also one of the key contacts at LLNL for the first science experiments involving CDAC scientists at the National Ignition Facility. He was a Geophysical Laboratory Carnegie Fellow from 1992 to 1994, where he did a variety pioneering studies of hydrogen under pressure. 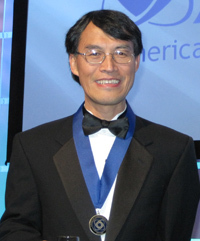 Carnegie CDAC-Affiliated Scientist Yingwei Fei (pictured at left) was elected a Fellow of the American Geophysical Union in January and received his award during the Fall AGU meeting on December 15, 2010. The honor is given to those who have attained "acknowledged eminence in the Earth and space sciences." Only one in each thousand members is elected to Fellowship each year.